Today I received an SMS from Ms. Mariana Isa, a good friend who had taken great pains volunteering and for the creation of the A.B. "Trilby" Hubback Roadshow and for further research into Arthur Benison Hubback. 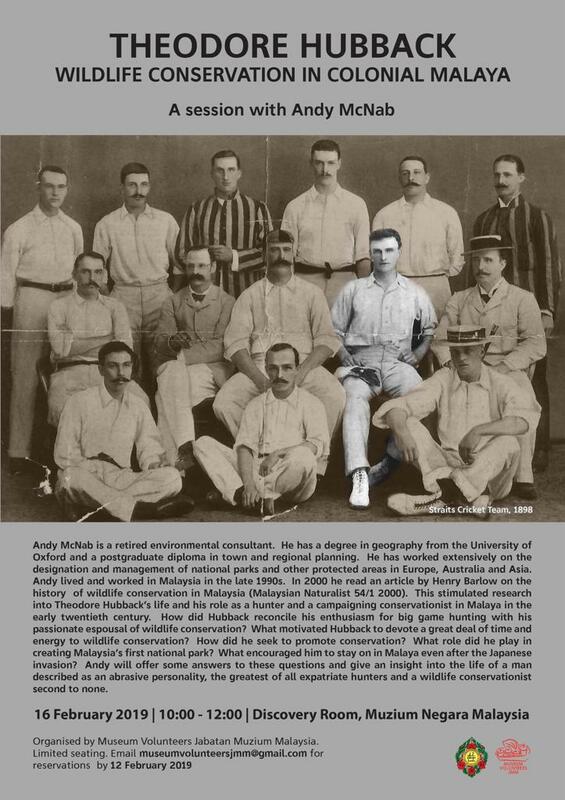 Its great to know that she is still active promoting our Malaysian Past History, and now, the Museum Volunteers Jabatan Muzium Malaysia is now organizing a talk with Andy McNab on his younger brother T.R. Hubback. Good to know that Theodore is getting some exposure! If you are interested, or you are a wildlife conservation / Malayan History Buff, come and show your support! Dr. Peter Barbor Visits Malaysia! 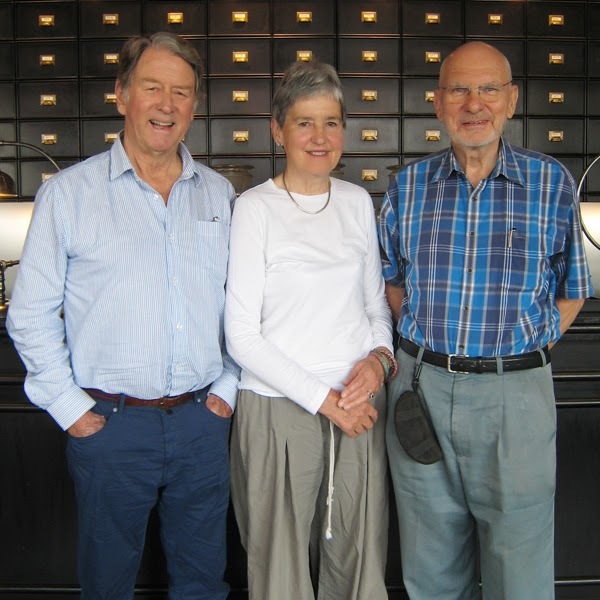 From Left to Right : Dr. Peter Barbor, Mrs. Patricia Barbor and Commander (R) Ian Anderson from Ipoh World gather at M Boutique Hotel Ipoh. It was a really good meeting. Sometime during May 2014, I had the opportunity to meet and welcome again Dr. Peter Barbor and his charming wife, Patricia. In case you are wondering, Peter is the maternal grandson of Arthur Benison Hubback. I had the great privilege of meeting of meeting Peter's mother, Yvonne Barbor (nee Hubback) when I first started this project and during my visits to her home in Somerton, I was introduced to Dr. Peter Barbor. I consider it a blessing to be able to have met them again but this time in Malaysia and for the event A. B Hubback: An Architectural Celebration in Malaya which was organized by PAM Conservation Committee, under Ms. Mariana Isa, which I will be forever grateful too as well. 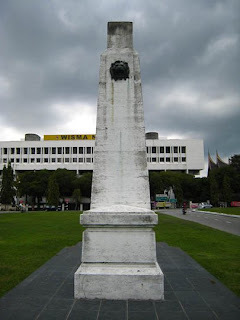 When Mariana told me that Dr. Barbor wanted to visit Ipoh, coincidentally I was also toiling my wares in Ipoh, so I jumped at the opportunity to return what was given to my by Dr. Peter Barbor's family. More importantly, I began to realize that I had achieved my goal and promise, and it felt as if a huge burden have been lifted off my shoulders. 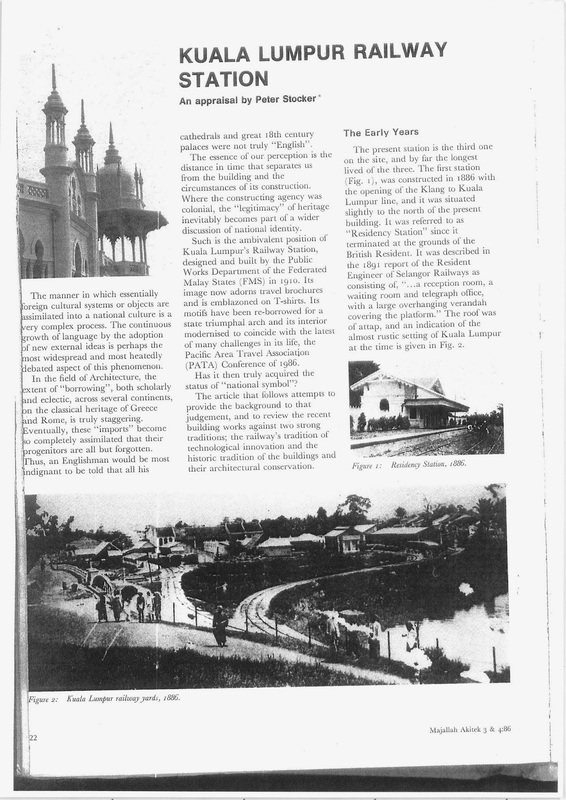 When I did this project, my ultimate goal was to try and ensure that a bit of our Malayan History would be carried on by our younger generation. Unfortunately many were of the opinion that I was looking for fame. Fame? What fame? 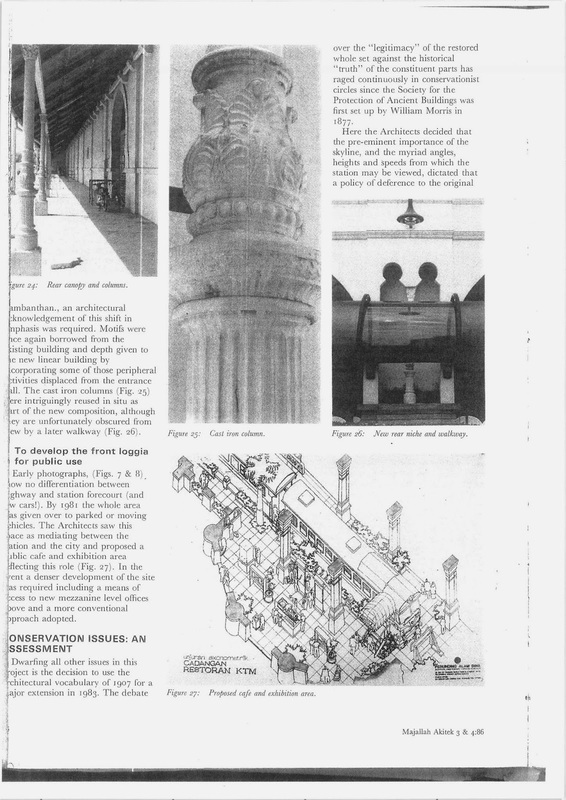 I am not even an architect or a historian! I am just your average person who is working in the Hotel Sector. Anyhow, I introduced Commander (R) Ian Anderson from IpohWorld.org, which by the way, does a very fine job of preserving Perak's History (I would say they have been really diligent about acquiring photos, text, exhibits, etc.) to Dr. Barbor and we all sat down for a bit of chat on Malaya's Past. I did learn alot from just that small meeting and began to wonder, why is all this oral/written history not being properly recorded or stored? Is it because of our historical bias??? Hurm. Food for thought. Anyhow, I am very happy to have met both Dr. Peter Barbor and Mrs. Patricia Barbor personally (in Kuala Lumpur first, and laater in Ipoh) and would like to thank you once again for your graciousness in sharing and providing all of us here, in Malaysia, with the relevant information that had culminated in the Exhibition of A.B. Hubback. Truth be told, there is also an Exhibition on T.R. Hubback as coincidentally they contact us when Dr. Peter Barbor was in KL! What luck! 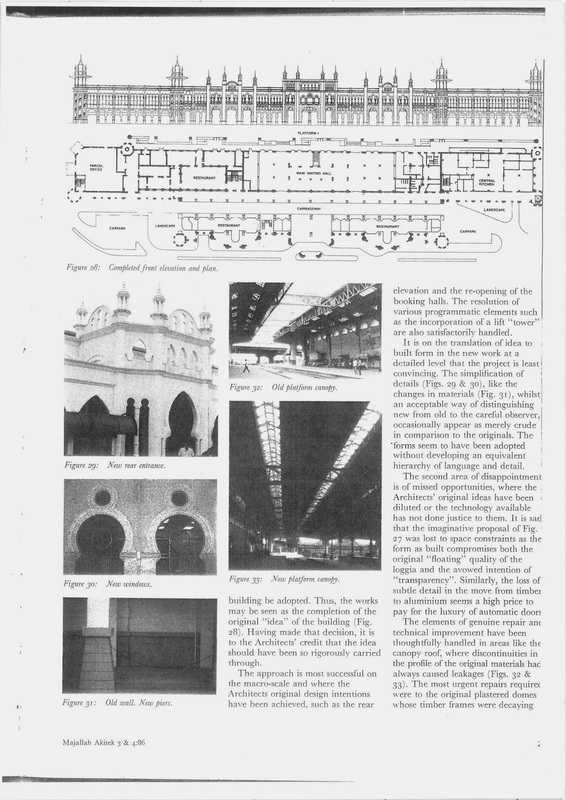 Today, I am going to post a few pages of information regarding The Kuala Lumpur Train Station, from Majallah Akitek 3 (which I think was printed sometime in 1987) that I got from Dr. Peter Barbor (son of Ms. Yvonne Barbor) when I was in the UK visiting them with regards to researching A.B. Hubback. 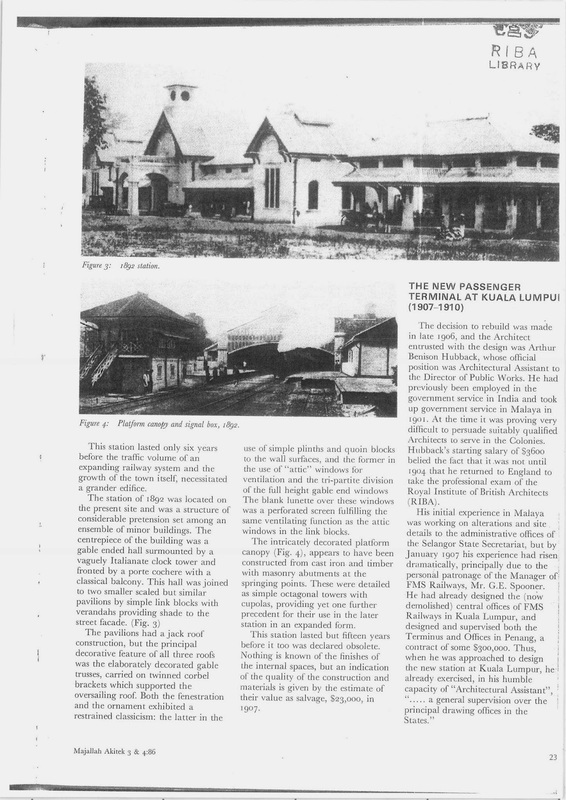 Dr. Barbor had kindly visited the R.I.B.A and got this article from their library, which is a little disturbing as this magazine was printed in Malaysia! P.S. If you want to view the full PDF for reference; here is the LINK! Hubback, Arthur Benison (1871–1948), architect and army officer, was born on 13 April 1871 at 74 Rodney Street, Liverpool, the eldest of the three sons and two daughters of Joseph Hubback (1814–1882), merchant and lord mayor (in 1870) of Liverpool, and his third wife, Georgina, née Eliott-Lockhart. Joseph Hubback's death in 1882 left his widow to bring up five young children, but Arthur Hubback went to Fettes College, Edinburgh (1884–1887), on a scholarship, and was then articled to the city architect in Liverpool. 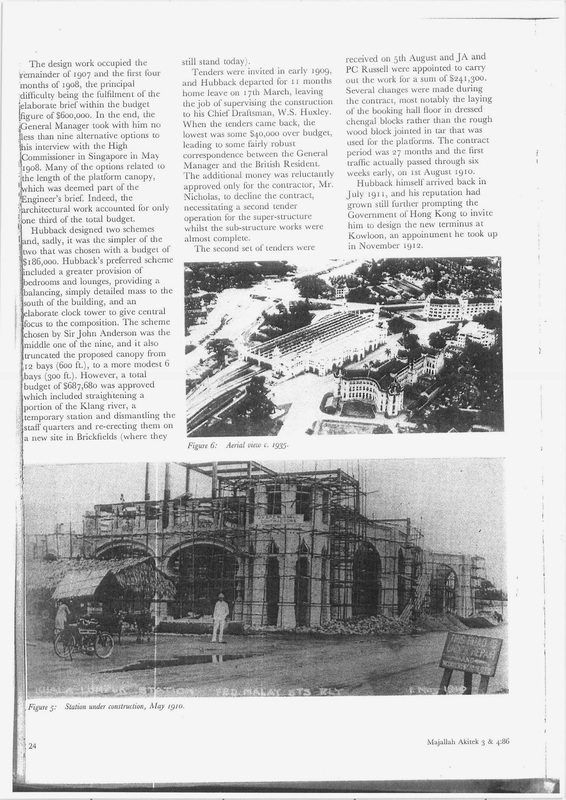 Hubback began his Malayan career in July 1895 as chief draughtsman of the Selangor public works department, when it was fully extended in the construction of new government offices (later the Bangunan Sultan Abdul Samad), which the forceful state engineer, Charles Edwin Spooner, had decided should be designed in an eclectic style, new to Malaya, variously known as neo-saracenic or British raj. 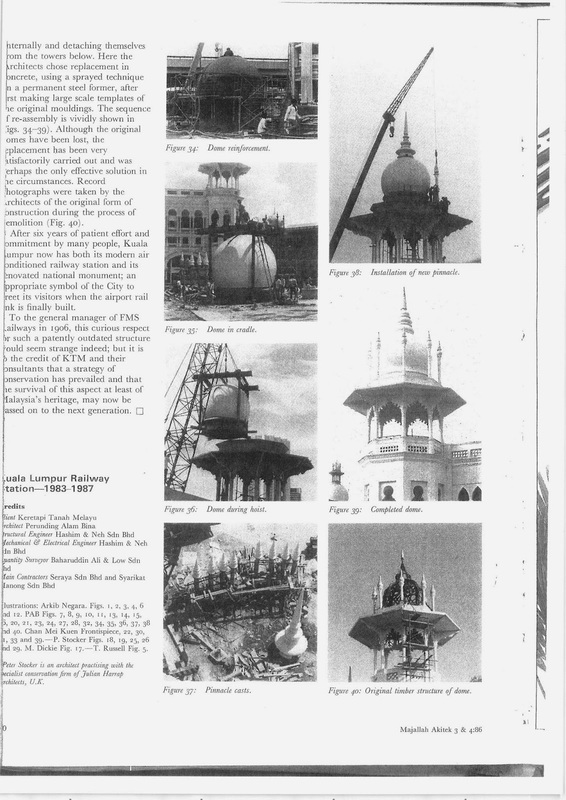 It had originated in India by a process of ‘architectural miscegenation’ (Davies, 188) that combined Indian Muslim, Hindu, Gothic, and other traditions, as an expression of imperial achievement. 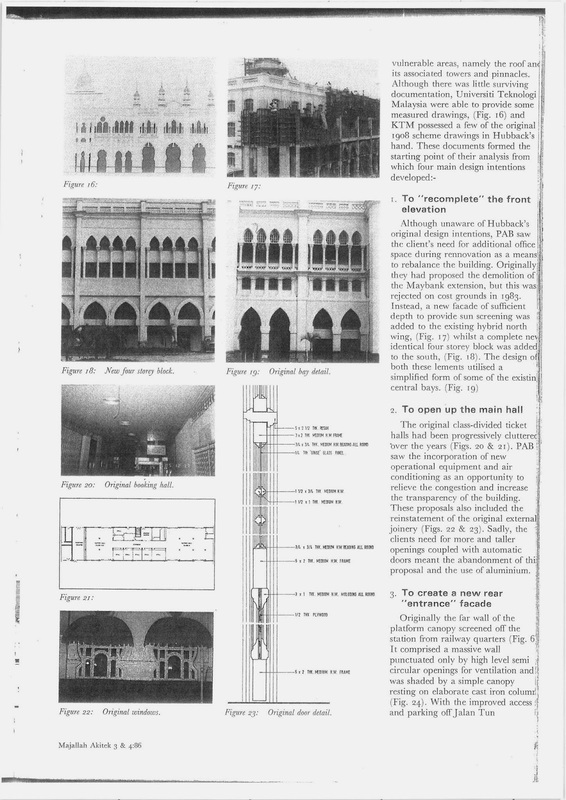 Apart from its novelty this style posed structural problems which led Kuala Lumpur ‘old hands’ to predict the collapse of the central tower. But a century later it stood to prove the sceptics wrong. 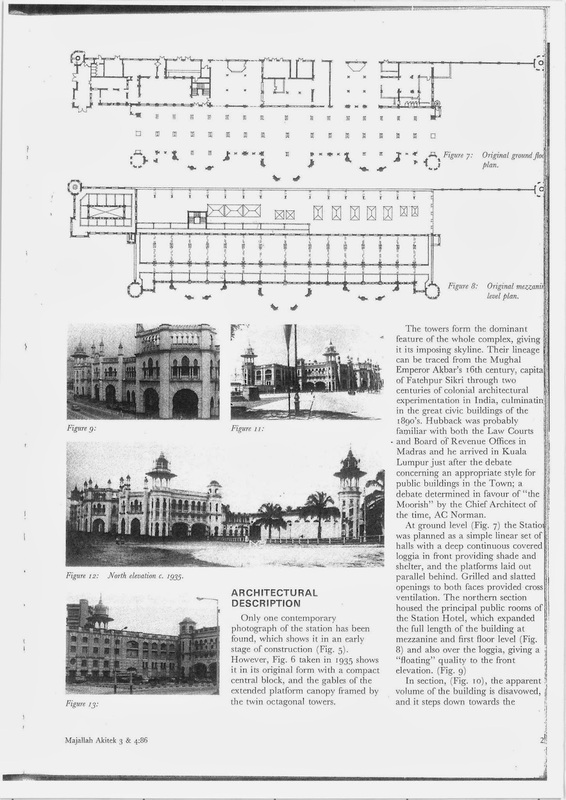 On its completion Hubback left the government service for private practice, but he returned in 1901, and until 1914 he designed a number of large public buildings in the same style though with ingenious variations, including a state mosque (1909), and main railway stations in Kuala Lumpur (1911) and in Hong Kong (Kowloon, 1913). 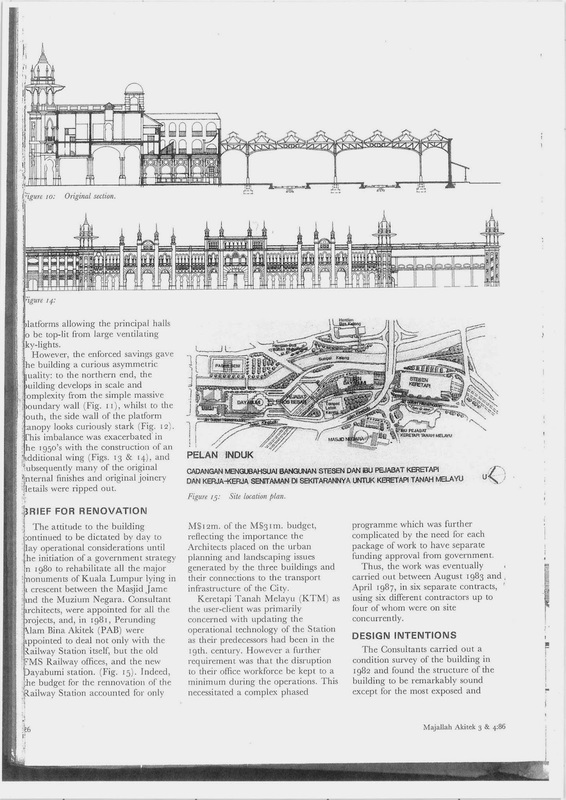 He became an associate of the Royal Institute of British Architects in 1905 and a fellow in 1909. In 1901 he married Margaret Rose Frances (Daisy) Voules, daughter of Sir Gordon Blennerhassett Voules, a judge in India, and sister of a Malayan colleague, Arthur Blennerhassett Voules; they had a son and a daughter. Hubback captained the Selangor cricket team, though he could not equal his brother Theodore [see below], who, keeping wicket for Lancashire, caught W. G. Grace and then hit forty runs off the doctor's bowling. Both were outstanding games players. 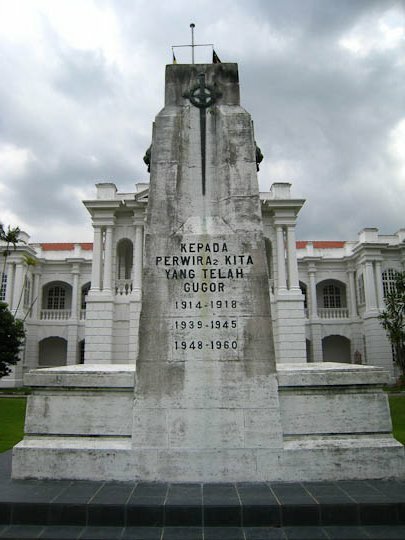 Arthur Hubback was also prominent in what became the Federated Malay States Volunteer Force, used both for local defence and in support of the police in maintaining law and order. Under a commandant who lacked any idea of suitable training the new force, formed in 1902, had declined in numbers and morale. When Hubback took charge in 1907 he moved from ‘uninteresting’ barrack square drill to training at weekend camps in musketry and tactical movement (Wright and Cartwright, 598). The force then grew rapidly in strength and efficiency, and a contingent under Hubback attended the coronation of George V in 1911. 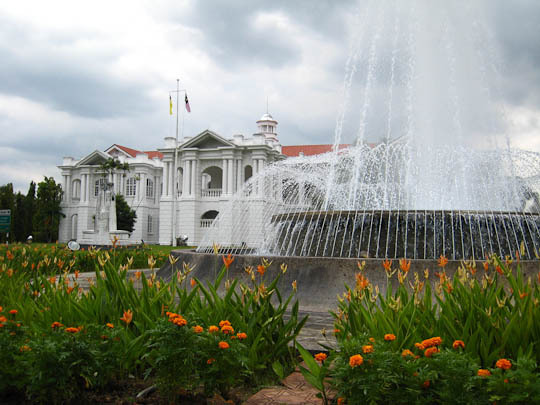 View The Seremban State Secretariat - 1912 in a larger map.